Research in our lab broadly explores a range of questions pertaining to cognition and action and the intersection between them. We use a variety of techniques to explore how the brain learns cognitive and motor tasks and how this brain function changes over sleep. Sleep and memory are both processes that change over the life span. In older adults, sleep quality decreases and memory impairments increase. In one series of studies (funded by the National Institutes of Aging (NIA)), we are interested in whether these processes are related. On the other hand, preschool-age children are highly plastic and nocturnal sleep is supplemented with a midday nap. Whether this midday nap serves a memory function is important to early education policies. This line of work is funded by the National Heart, Lung, and Blood Institute (NHLBI). In this work, we consider the neural underpinnings of learning and memory, for example, the role of the cerebellum in motor learning. We use an array of tools to explore these questions. Dr. Rebecca Spencer graduated from the Purdue University Neuroscience graduate program, concentrating in neural control of movement. After graduating from Purdue with a PhD in neuroscience in 2002, she went to UC Berkeley where she was a postdoctoral fellow and research scientist in the Helen Wills Neuroscience Institute until 2008. Her postdoctoral work on neural control of motor sequence learning was funded by an NIH NRSA. Subsequently, she was awarded an NIH Pathways to Independence Award (K99/R00) for studies on the age-related changes in sleep-dependent consolidation of motor learning. 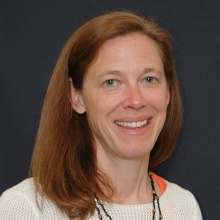 In 2008, Rebecca joined the Department of Psychological and Brain Sciences at the University of Massachusetts Amherst as an assistant professor and was promoted to associate professor in 2013. Her current work is broadly on the functions of sleep, including topics such as the function of naps for preschool children and the role of age-related changes in sleep on age-related cognitive decline. For this work, she holds two NIH R01 awards and has over 60 publications.